True, we are a bit crazy, but we also know that secrets/surprises will unfold during this weekend, and we want in on them. So here’s what happened: many people got there early or stayed longer to see the area around Whitehorse. Some got all the way to Skagway and Dawson City to drink a Sour Toe Cocktail, and to experience the Alaska Highway and Kluane National Park. Some went on Elisabeth Wiegand’s wonderful Black Bear Adventures Tours. Some rented a camper. Some were billeted by the most gracious and generous hosts. All that alone was worth the trip. But we are writers. Writers who know the difficulty of putting such a weekend together. 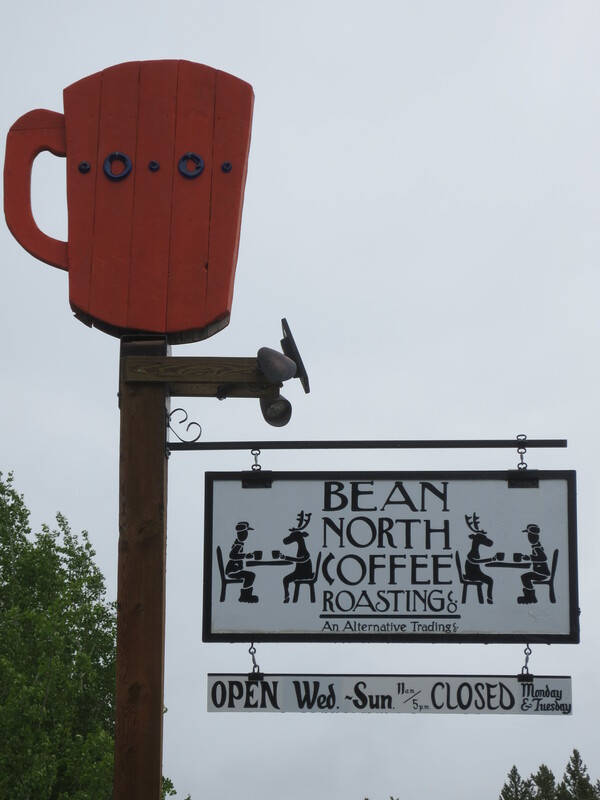 This time it was Kathy Munro and her team, many from her Solstice haiku group, many from the Bean North Wednesday Writers who meet way out in those bear-filled woods at Bean North Coffee Roasting Ltd., a delightful café that’s been going for about 15 years. You’d never expect to find such a place, complete with its own roaster, with organic food and Free Trade coffee and chocolate and simple lunches so good you might dream about them later. Kathy Munro had written to The Commissioner of Yukon, Hon. Doug Phillips, requesting that the week be called Haiku Week in the Yukon; he signed a proclamation, and it was so. Haiku Week in the Yukon! The Cultural Services branch paid for all the ads in the papers! The City of Whitehorse got in on the act, getting out the trolley a couple of days earlier than usual so conference members could be clanged through town to the Northern Front Gallery. The MacBride Museum of Yukon History hosted a related reading, as did the Library, which also gave space for a display (more on this later…) and a reading; bookstores gave discounts and one gave super window space to a Haiku Book display; a coffee shop too, had discounts. Newspapers and radio gave space. CBC on the radio and on CBC Yukon’s Facebook page gave information on the weekend. 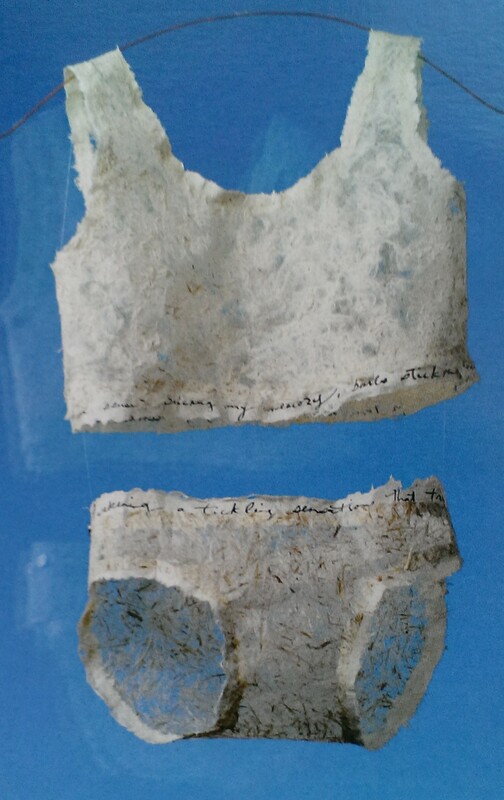 Everything seemed intertwined, the paper maker and the reporter attending the conference, the novelist putting copies of her novel Ice to Ashes on the ‘Free’ table. (Yes, haiku poets always have a ‘free’ table! Imagine!) Haiku Canada was everywhere. 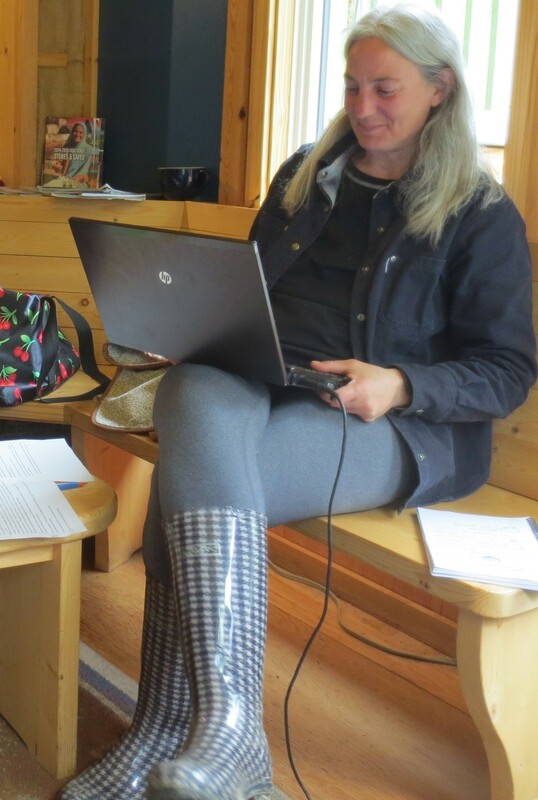 The Wednesday group is known also as The Whitehorse Poetry Society and Local Writers, associated with Yukon Writers Collective, but members sometimes refer to themselves simply as The Bean North Writers. They gather, some with paper, others with laptops, in the little perfectly-chosen-blue room up front, with big windows that bring that Big North Feeling into the room, into the writing. Haiku writers work on Japanese-form poems, prose writers work on novels and short stories and newspaper articles. Plans get hatched. 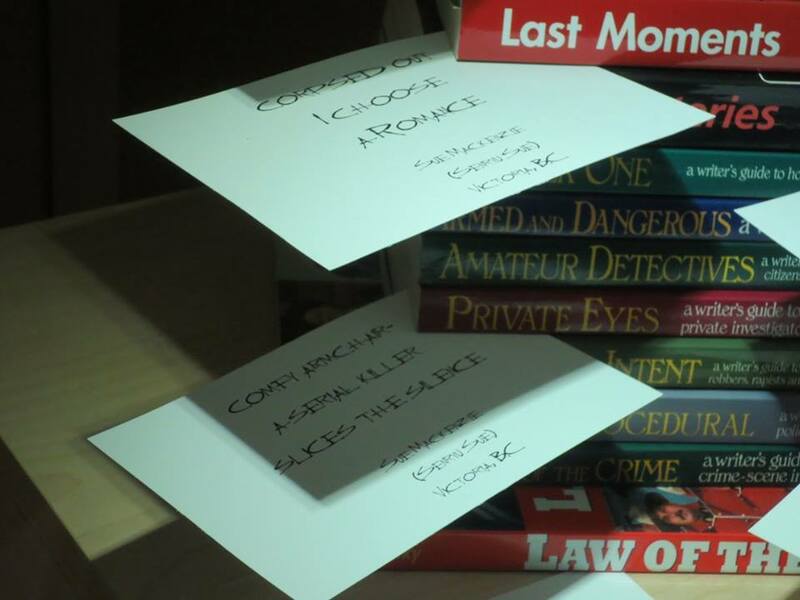 Two writers, reporter/crime novelist Jessica Simon, and Kathy Munro came up with one of those ‘extras’ that made the weekend extraordinary: Why not send out a call for ‘crime haiku’ and display the results in the Whitehorse Library. No sooner hatched, the path to realization had begun. The final display on ‘Killer Ku’ was magnificent. So there was a team, and all the parts of the Weekend came together. I haven’t started, and won’t because this is a blog and not a book, to mention all the people and the planning that made the Weekend happen. And a report of everything that happened at the conference, as well as the agenda, will soon be up on the Haiku Canada website. There are a few quiet volunteers and donors who might be missed though; Laurel Parry, calligrapher par excellence, who also made opening remarks for the conference, gave hours to making calligraph, name cards on the spot, putting them into name-tag holders scavenged by Kathy’s husband at a geology conference, holders that are much more chic than what we normally call name-tags. But I wanted to zone in on the writers who meet regularly, their spirit and the way they connect at Bean North, and how central they can be to setting cultural atmoshpere in a far away northern city. When they get together in that blue room, writing is simply in the air; you can almost see it, and you can certainly feel it. I was only there for a couple of hours, but the ease of camaraderie among these wordsmiths reminded me of that famous house in Toronto where members of the Group of Seven painters had their studios, how they would work, but also roam around, comment on each other’s paintings, have coffee. This writers’ group acts as a think tank, some of the creative people of Whitehorse, who interact in various ways, who are connected through words, through Art, through book clubs. My feeling was if you have anything to do with writing, newbie or seasoned, you’re invited and included as part of the group. Whitehorse is an ‘alive’ place to be an artist or a writer, and since live things grow, and are dependent on supports of various kinds, this is the place to be on Wednesdays. The best part is that, though it is not formally a critique group, that can happen if a writer is looking for input. So there’s no stress involved. You don’t have to ‘come up with something’ to share. But if you have something to share, you’re in the right café. And if you want to know how to get things done, writers often have the skills and connections to make something happen, as witnessed by the whole of Yukon in the papers and on the radio. In all my years with Haiku organizations in North America, the Whitehorse experience made more use of the media, including social media, and of the cultural and physical aspects of an area than ever before, including respect and appreciation for the use Whitehorse citizens have of First Nations Land. That ‘Killer Ku’ exhibit at the library will likely become a book, for example; the writers are already working on that project. So I would suggest, if for any reason you are going to Whitehorse, and are a writer, that you connect with this group. You never know what will come of it, and the least that could happen is that you meet some amazing people who happen to write. And if you are lucky, you will connect with Haiku Canada at http://haikucanada.org whether you write haiku or not. I for one, recommend going to Whitehorse for many reasons, and my best dreams would be of being quiet among those sacred mountains. With all the creative and hospitable people that live there. That’s such a beautiful thank you Claudia, although it’s a little lofty to compare us to the Group of Seven. Actually, maybe better than the Group in some ways, because you are not all centered on your own work, but radiate outwards to create greater inclusive things!